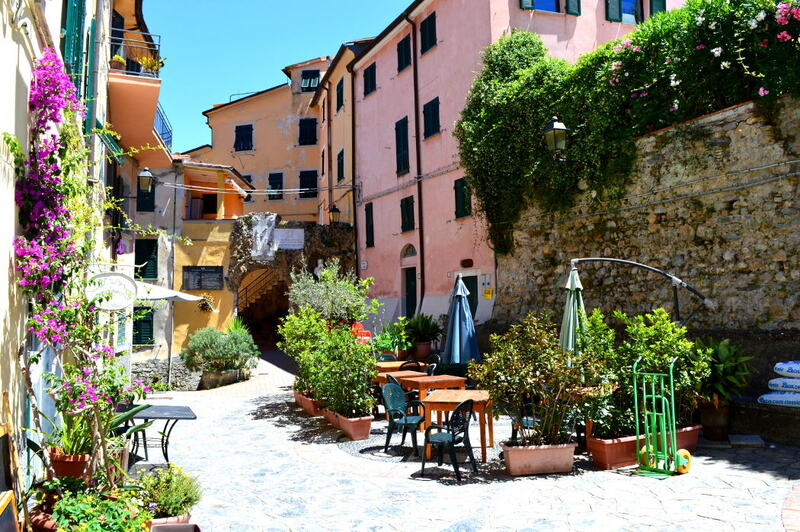 Tellaro and the little hamlet town of Fiascherino are heaven. From the moment I walk down the path to the Hotel Fiascherino (the hotel on the edge of Tellaro where we always stay), I can feel the weight of the world lift from my shoulders. The scent of lemon and jasmine is in the air and the sound of gentle waves lapping at the shore is the only background music you'll need. 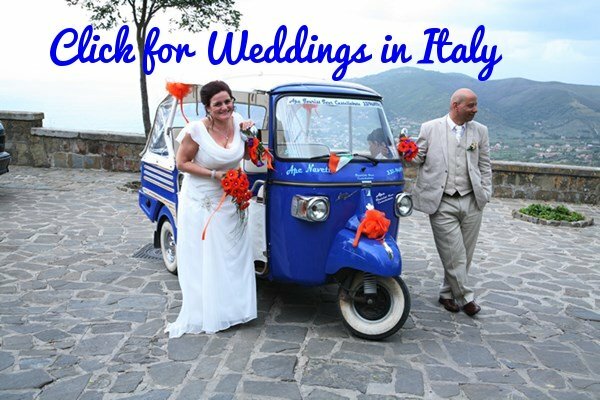 Once you've unpacked you'll not want to waste a moment; there are beaches, spectacular walks and the sublime pleasures of simply soaking up the “dolce vita” in a town judged to be one of Italy's loveliest. The whole area is part of the Gulf of Poets and it has been inspiring poets and writers for centuries. Most famous of these being Byron and Shelley. Lets begin at the Hotel Fiascherino, which has it's own little beach right in front of the hotel where the waters are perfect for swimming. There's no real current here, the sea is crystal clear and calm so you can swim out as far as you can with little worry. Normally my son (who's twelve) and I swim all the way out to the boats that are always anchored in this sheltered bay. Maria (my wife) prefers relaxing with a book on the hotels deck above the beach. 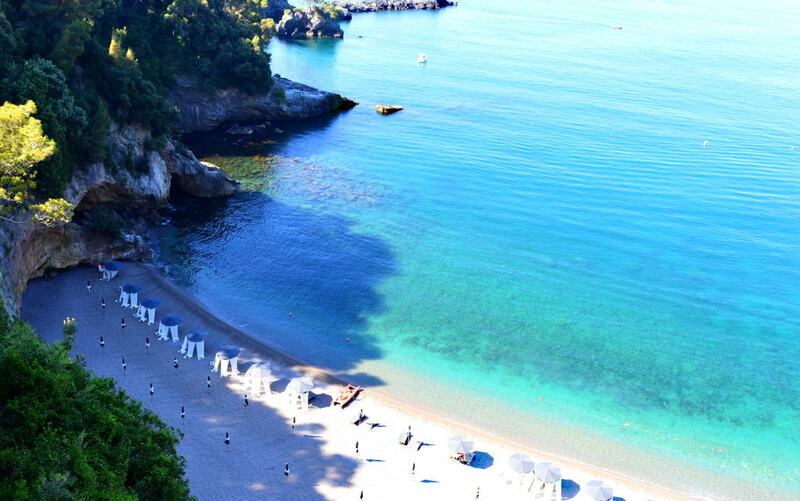 On the road to Lerici is this beach...simply gorgeous!! 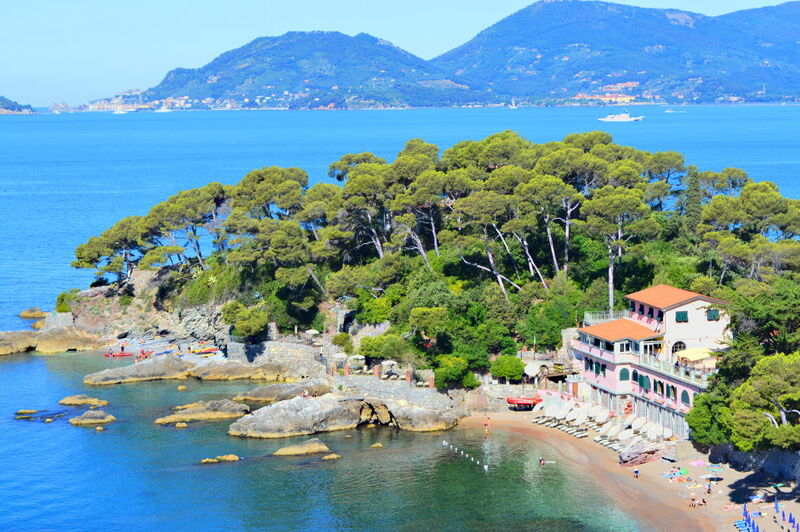 Head into Tellaro and you'll soon see a sign saying the Il Nido Hotel. This is the hotels beach - it may be tiny but the clarity and color of the water here is awesome. The little bay behind the Hotel Fiascherino where you'll find many a pleasant beach. 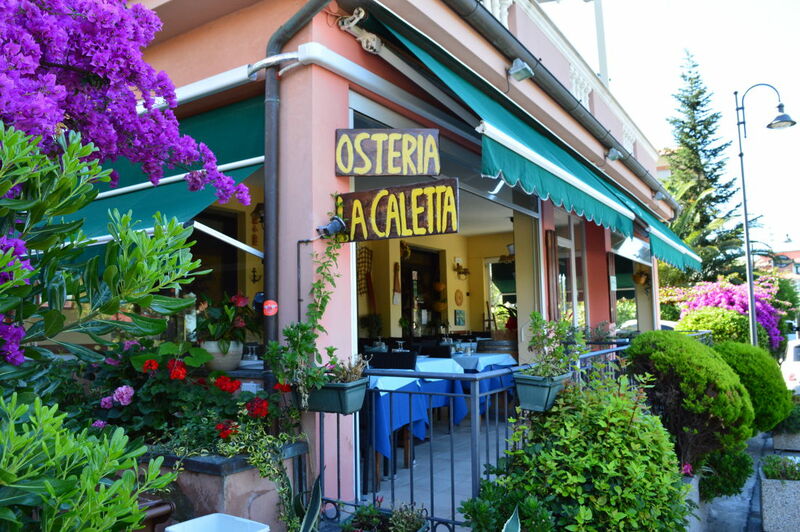 Osteria La Caletta at 100 Via Fiascherino (the main road heading into town) is wonderful - definitely the best place to enjoy the delicious seafood this coast is famous for. Try their seafood taster meal which costs around 25 Euros - you won't believe the amount and variety of seafood you'll get to enjoy. Ask them to recommend a wine too - they really know exactly which wine goes with which dish and the local white wine here is exceptional. 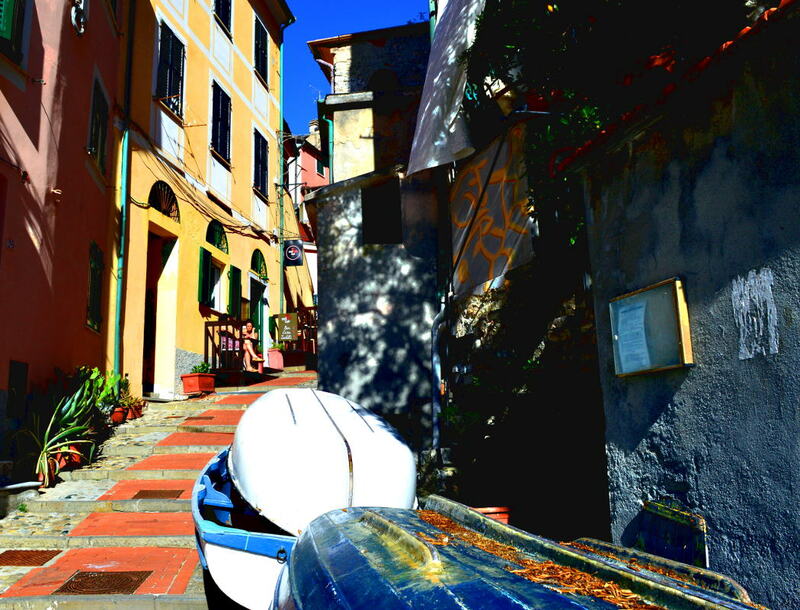 Walk into town from Fiascherino and you'll feel the day improve in leaps and bounds. 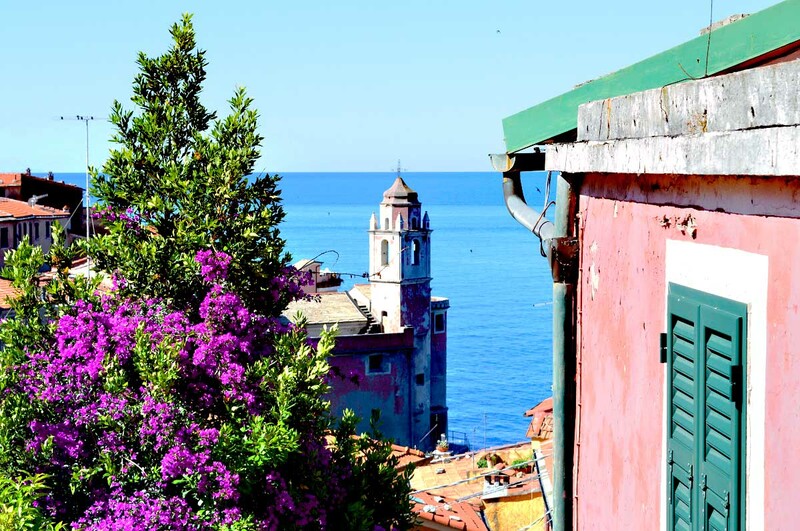 Anywhere you look there's beauty; cottages decked out in flowers of exquisite color, hills behind covered in pine, cypress, olive groves and vineyards and of course the sea glimpsed azure between houses of lemon, apricot and cinnamon. 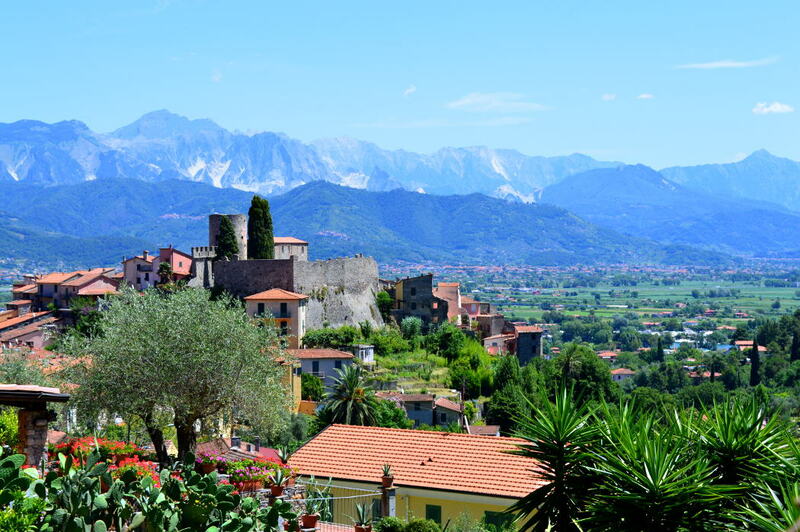 The town itself is a true gem, completely unspoiled and “officially” considered by the experts (whose fabulous job it is to rate Italian towns) one of the loveliest in all of Italy. Plus the people are really friendly and interested in meeting foreigners. Inside the old town there are no cars, well they wouldn't fit anyway in the narrow lanes, and whichever way you go you always seem to end up at the quaint fishing port. It's a lovely place to end up in, I'm happy to spend hours here just watching life go by. This, and the piazza higher up the hill, are the best places to sit and people watch. If you're here on a Sunday then the morning service in the picturesque sixteenth century Church of San Giorgio is a great experience. 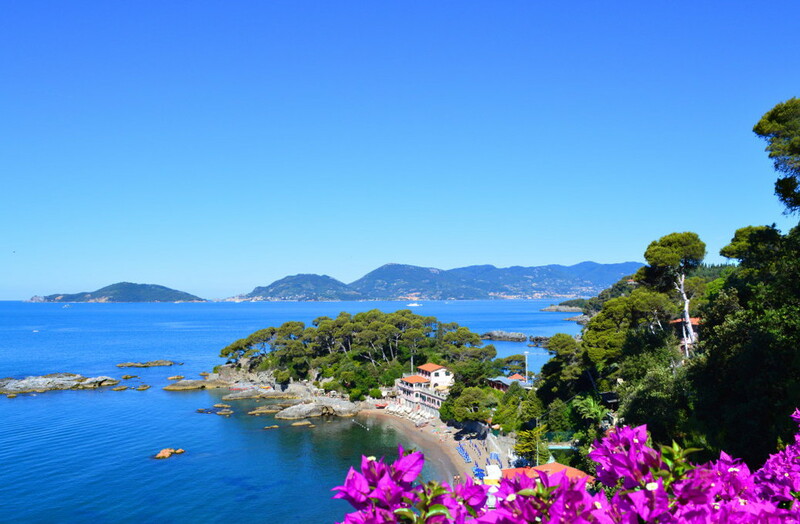 There is no train service to this part of the coast so you'll need to catch a bus for Lerici from outside the La Spezia station. The information counter in the station will tell you where to catch it from. 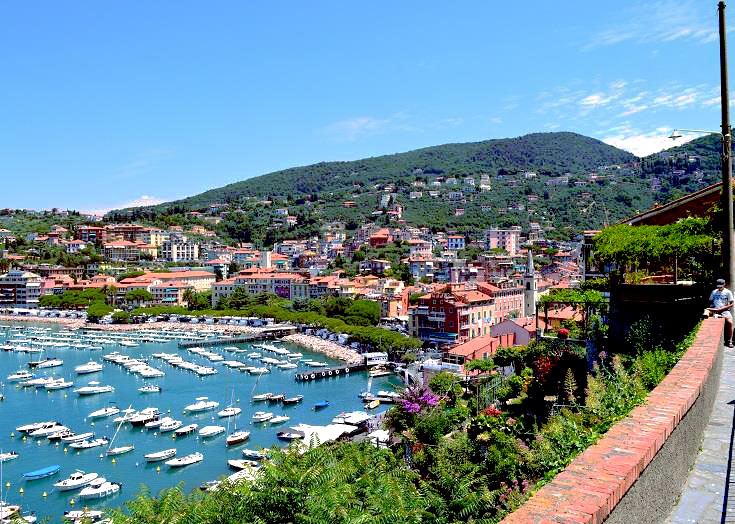 Once you get to Lerici you change buses for Tellaro - the last bit only takes ten minutes and the bus stops in Fiascherino (right outside the Fiascherino Hotel) and then in Tellaro.